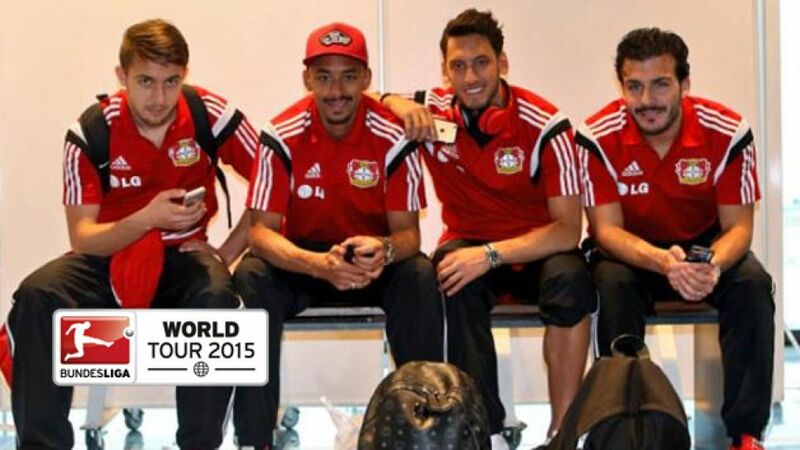 Leverkusen/Orlando - Bayer 04 Leverkusen are busy doing their bit in name of the Bundesliga World Tour 2015 in Orlando, Florida. Die Werkself will spend ten days in the Sunshine State, honing their game ahead of the Bundesliga restart later this month, as well as taking part in the inaugural Florida Cup alongside Rhineland bedfellows 1. FC Köln as well as Brazilian duo Corinthians and Fluminense. Roger Schmidt's side make the trip boasting a clean bill of health, although they'll be without the services of AFC Asian Cup 2015 representatives Heung-Min Son and Robbie Kruse. As no-frills midfielder Gonzalo Castro succinctly put it before take-off, though, "we can focus on the details in the build-up".